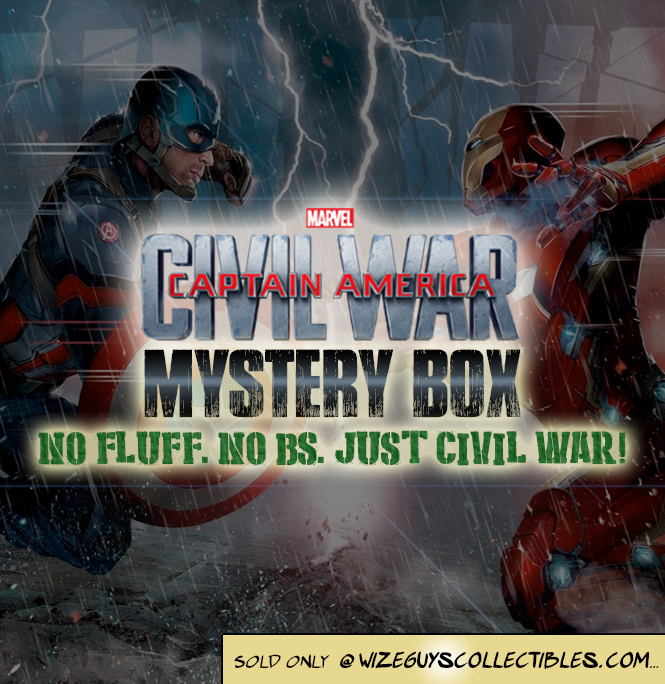 Wize guys collectibles is proud to present the Civil War mystery box! Packed with super sweet items, all featuring the heroes of Marvel Comics’ Civil War! You’ll have to open one up to find out what’s inside but we’ve got lots of sweet merchandise, like apparel, accessories, toys, home decor, comics & other random collectibles! Guaranteed to be worth at least double what you pay, it’s a deal too good to pass up!